As the manager of an organisation I may be required to make sure anything that is graded manually is accurate and that any assignments published by a facilitator are marked correctly. Because of this, I require a second step in the grading workflow whereby a facilitator can mark an assignment, but it will not be published until a secondary admin-level user has checked that the assignment has been marked correctly. 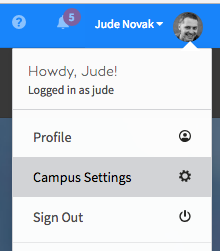 To get started you firstly need to switch the feature on for your campus. Click on your profile picture in the top-right-hand corner of the screen to reveal the settings menu. Click on 'Campus Settings'. Once on the Campus Settings screen, scan down the page till you see the 'Grading Approvals' switch and toggle the switch to ON. 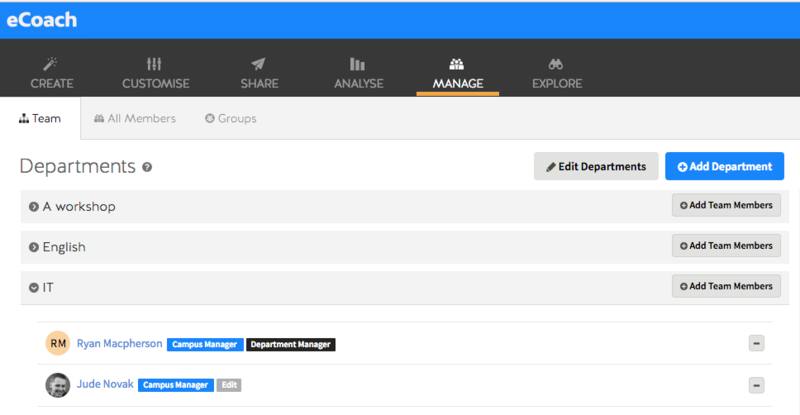 Now that it's switched on for you Campus, head on over to the manage page to find the user(s) you want to apply the publish grades permission to. You can select your user from either the 'Team' or 'All Members' tab. You just need to click on the users name. 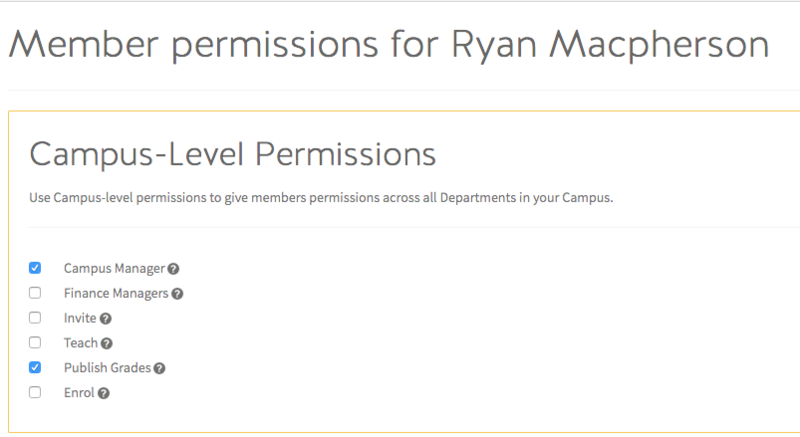 The 'Publish Grades' permission is a campus-level permission, and users who have this permission will receive an email any time a facilitator grades an assignment and requests approval. Ordinarily when a facilitator marks a participants' assignment they have the option to 'Save and publish' the assignment so that the participant can receive their grade. However, when the grading approvals feature is toggled on, a facilitator only has the option to 'Save and request approval'. When the facilitator clicks the 'Save and request review' button after grading a participants assignment, an email is sent to any user who has the publish grades permission. The email contains a link to the assignment grading page where the user can save and publish the grades for the assignment submission once they are happy. Now that the grade is published, Coassemble recognises the assignment as completed and the participant can see their grade. Note: This is a premium feature and only available on some plans.